Thanks for the photographers on-site in Amherst, MA at the first Road Racing Grand Prix event of 2015. Here are a couple of the photo albums we’ve uncovered. If you are aware of any others, please leave the links in the comments section on our Facebook page. Thanks! If the race director of a scheduled Grand Prix Road Race cancels the race, it will be removed from the series. If the race is postponed and held at another time, it will not be included in the series or scored. If any state governor, public safety officer or other designated emergency personnel of a USATF-NE member state closes the roads, bans travel or otherwise prevents people from a wider geographic area to attend a scheduled Grand Prix Road Race, it will be deemed not a Grand Prix event and not scored even if the race location has no emergency status itself and the race is held. Adjusting start time(s) to accommodate weather/safety situations: A minimum of 36 hours’ notice must be given to the USATF-NE Office and LDR Chairs if time is to be adjusted earlier than originally posted. Delays may be announced on the day of the event. The 2014 USATF-NE Cross Country Grand Prix wrapped up on November 30 with the Warrior Run at Larz Anderson Park. This race was a fitting cap to the season—a little mud, a little ice, and yet more toilet drama (locked bathrooms). Full individual and team results are here. David Wilson, running unattached, put his stamp on the series with a decisive 31-second win over Jonathan Charlesworth of Greater Boston Track Club. David ran all five races in the series and won 2 of them en route to his 2014 title. In the open men’s team race, GBTC took 6 of the 7 top spots to score a convincing win that secured their overall series championship. T. J. Unger of HFC Striders was the only team runner to break up that GBTC pack, leading his men’s team to 2nd. The men from SISU Project, in their first year of fielding a full team in this division, took 3rd in this race but ended up 2nd in the overall series, 2 points ahead of HFC. I smell a rematch in 2015.
seconds behind Elizabeth was her teammate Caroline Martin, who with 2nd place in this event rounded out her decisive win in the overall series. Greater Boston won the Grand Prix decisively, finishing ahead of Western Mass Distance Project in all five races in the series. The women of WMDP echoed their 2nd place series finish with a 2nd at the Warrior Run as well, this time led by newcomer Joanna Johnson in 4th place. The women of SISU Project followed team leader Amanda Wright (6th) to a 3rd place finish, ending up 5th in the Grand Prix behind teams from the BAA and New Balance Boston, both of whom contested only the Mayor’s Cup and the USATF-NE Championship. Jason Cakouros of HFC Striders finished first among the masters men to lead his team to the 40+ win, no doubt inspired by the cheering he did during his warm-up as the women rounded the “egregious” hill on the large loop. HFC claimed the Grand Prix series win in this division as well. The 40+ men of GBTC took 2nd place at the Warrior Run but placed 4th in the overall series, as Greater Lowell held onto a 2nd place tie with BAA in the series despite not fielding a scoring team at this final race. As previously predicted in this blog, Mark Reeder of Greater Lowell showed up to put the icing on his Grand Prix series title in the 50+ division, even though no teams fielded a full team in this category, perhaps because Greater Lowell already had the series sewn up. The 60+ men from GBTC won that team race uncontested and claimed a decisive Grand Prix victory; the only race they didn’t score in (and win) was, ironically, their own meet at the start of the season. Bruce Bond of GBTC stands atop the 60+ podium in the Grand Prix series after scoring in all 5 races; Bruce finished 2nd in this division at the Warrior Run to James Wilson of the BAA. Trish Bourne of Greater Lowell also passed up the chance to savor her 50+ series win from the warmth and comfort of home, leading all Masters women at the Warrior Run as her Greater Lowell team took 2nd in the 40+ division and won the 50+ team race as well. The 40+ women from WMDP followed the lead of Dana Parrot, who finished as the 2nd masters woman 26 seconds behind Trish, to win the 40+ team race and secure their Grand Prix title in that division. Dana successfully defended her individual 2013 Grand Prix title in the 40+ division as well. The women from Greater Derry Track Club, led by Cathy Merra, came in 3rd in the 40+ competition and 2nd in the 50+ team race to cement their Grand Prix title in the 50+ division and a runner-up position in the 40+ division. Full team and individual results for the entire Cross Country Grand Prix series can be found here. The Cross Country Committee, chaired in the early part of the year by Jason Cakouros (HFC) and now captained by Chris Canning (HFC), would like to thank all who participated. Comments and feedback on the series are always welcome, and we look forward to seeing you next fall! 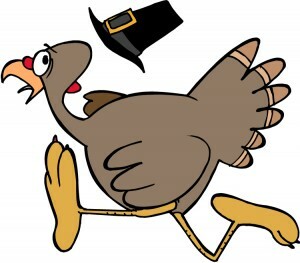 As visions of turkey, a possible winter storm and Mass Pike traffic dance in the heads of runners across the region, New England’s harriers are gearing up for the final race in the 2014 Cross Country Grand Prix series, the Warrior Run on Sunday, Nov. 30 at Larz Anderson Park in Brookline, MA. At the fourth race in the series, the USATF-NE Championships at Franklin Park on Nov. 9, the men and women of the BAA showed that unicorns aren’t afraid to get their hooves dirty. Team and individual results from this race are nicely summarized on the USATF-NE website. A look at both team and individual standings in the Grand Prix shows that some races will indeed come down to this final contest—or, as Patty Smyth once put it, “And heart to heart you’ll win, if you survive the warrior.” On the men’s side, GBTC has a healthy lead, but should the unicorns or the team from New Balance Boston choose to race outside Franklin Park, things could get interesting. Right now 2nd through 6th places (BAA, SISU, NBB, WMDP and HFC) are each separated by 1 point. In the open women’s team competition, GBTC holds a healthy lead over 2nd place WMDP and 3rd place BAA. The women of GBTC have won every head-to-head contest with WMDP during the series, these two teams being the only ones to have scored in all 4 events so far. At the masters level, both the men’s and women’s races are too close to call. The men of HFC hold a 2-point lead over the masters squad from GLRR, with BAA again making an appearance in the top 3 by virtue of only two (dominant) team performances at Mayor’s Cup and the New England Championships. On the women’s side, WMDP took the series lead after winning a squeaker over Liberty at the New England Championships, but both the Hot Flashes of GDTC and the masters women of GLRR are still in contention for the series. Both the 50+ (GLRR) and 60+ (GBTC) men’s team competitions appear to be settled already, and while GDTC leads the 50+ women’s competition, GLRR is still a serious contender in 2nd place. Individual leaders Mark Reeder (50-59) and Trish Bourne (50-59), both of GLRR, have sewn up their respective divisions and could choose to stay home Sunday, though we suspect they won’t. In all other divisions the title could come down to who chooses to stay safe and warm this Sunday, and who chooses to get up early and make the drive to Brookline, knowing that a trip home with a few thousand other Commonwealthers awaits. Yesterday, we heard from the USATF-NE Road Racing Grand Prix series female open winner Denise Sandahl of Millennium Running. Today, Whirlaway’s Ruben Sanca shares with us his thoughts on the 2014 series and the role it serves in his overall racing goals. After joining the Whirlaway Racing Team, Sanca says he developed a new approach on how to meticulously plan his racing schedule so that both his team and individual goals were maximized. “Thankfully, the Grand Prix bid selection committee did a great job in creating opportunities for mutual success,” he said. Not too far from taking the open male team title in this year’s series (finishing a close third), Sanca says that Whirlaway is certainly looking to be an improved team and in contention again for the overall title in 2015. Sanca personally looks to maximize his performance in each Grand Prix race next year, even if it means getting an extra point for the team. While he will be racing all distances, his eye is on attaining the Olympic “B” standard in the marathon. * Thank you, Ruben, for participating in the Grand Prix series and sharing your feedback. Best of luck as you work toward your 2015 racing goals! 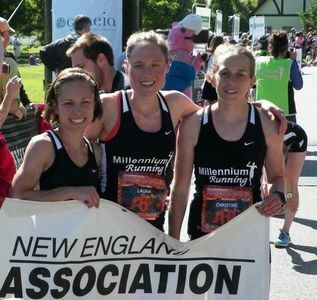 Denise Sandahl (left) pictured with her Millennium Running teammates at the Ribfest 5 Miler after she and her team took the individual & team titles in the USATF-NE championship race. 2. When the points were tallied at the culmination of the seven race series – which included a 10 miler, half marathon, 5 miler, 5k, 15k, 10k and marathon – it was Millennium Running’s Denise Sandahl and Whirlaway’s Ruben Sanca who came out on the top as the overall open winners. The first-time series winners both competed in five of the seven races – Sandahl coming in 16 points ahead of teammate Jennifer Mortimer and Sanca, beating out second place runner Dan Vassallo of CMS by 18 points. To learn more about their journeys to success and future racing plans, we chatted with the Grand Prix champions. Today, we’ll hear from the women’s champion. Stay tuned for our interview with the men’s champion tomorrow. Flashing back to the beginning of the year, Sandahl didn’t think she had a chance to be competitive in the Grand Prix series. It wasn’t until after winning the Ribfest 5 miler that she realized capturing the individual title might be a possibility. And she was right. While illness and a scheduling conflict prevented her from competing in the entire series, Sandahl says of her five Grand Prix performances, the Ribfest 5 miler was her favorite – where her team took all three podium spots. With Millennial Running managing the event, it was a good feeling for Sandahl and her team to win at home. Not only did she take the overall series title from an individual perspective, but her team accomplished its goal of winning the open team championship as well. Millennium managed to field teams for six of the seven races, despite being a small team, beating out Whirlaway by nine points. A major contributing factor to their team success, Sandahl says is that many of the women train together regularly and worked with each other during the races. Sandahl added that it was her own teammates who tended to give her the most competition throughout the series – perhaps leading to their success this year. Looking ahead to 2015, Sandahl says she and her team plan to compete in the Grand Prix series again, looking for the same success. * We’d like to thank Denise for taking the time to share her story with us, and we wish her and Millennium Running the best of luck in future races. Toilet paper was in short supply, but talent and motivation were not, as USATF-NE athletes took to the fields and woods of Franklin Park on October 26 to contest the 24th Mayor’s Cup, presented by the Boston Athletic Association and Adidas. In the women’s 5K Championship race, Rachel Hannah of Toronto, running for New Balance, took top honors with a time of 16:36. Hannah finished clear of a close pack of the second through courth place runners, with Juliet Bottorf of BAA finishing just ahead of teammate (and first masters runner) Jen Rhines. This was the first cross country race since 2005 for Rhines, the newly-anointed American masters record holder in the road 10K — who used a strong second half of the race to catapult her into third place over the final 100 meters. In fourth was 2013 NCAA Division I Cross Country champion Abbey D’Agostino, making her professional debut. The top six BAA runners swept the team competition, finishing ahead of New Balance Boston (second) and Greater Boston Track Club (third). With their first appearance in this year’s Grand Prix series, BAA jumps into third place in the series standings, behind GBTC in first and the Western Mass Distance Project in second. The men’s Championship 8K saw another close race, with Mitch Goose of The Manhattan Project finishing in 23:46, four seconds ahead of Robert Mack (Reebok). Ethan Shaw of the BAA took third to lead a victorious team effort, with BAA’s fourth and fifth scorers (Sam Alexander and Bo Waggoner) making the difference against the second place Manhattan Project. The BAA men also made their first mark on the Grand Prix series at their home event; their win vaulted them into fourth place in the standings, behind GBTC, SISU project and HFC Striders. 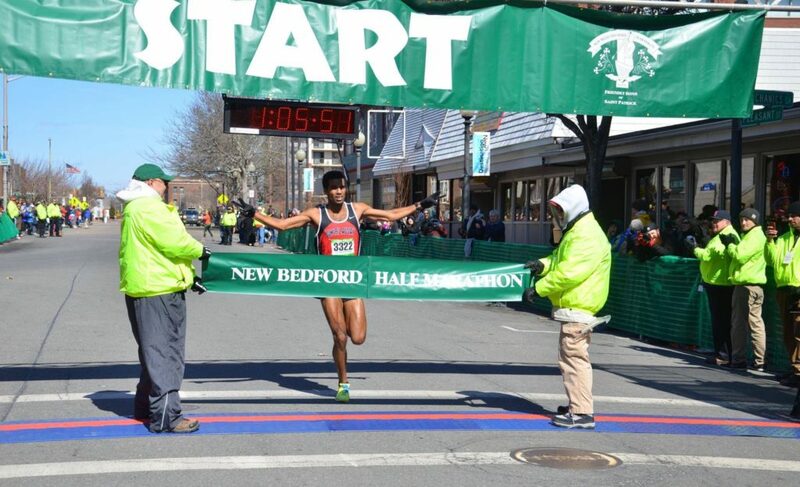 Both the men’s and women’s championship races are covered in detail on the BAA website. While top masters runners such as the BAA’s Rhines mixed it up with the younger generation in the open races, runners competing in the masters and seniors divisions of the USATF competition took on everyone from high school runners to novice harriers in the Franklin Park 5K. 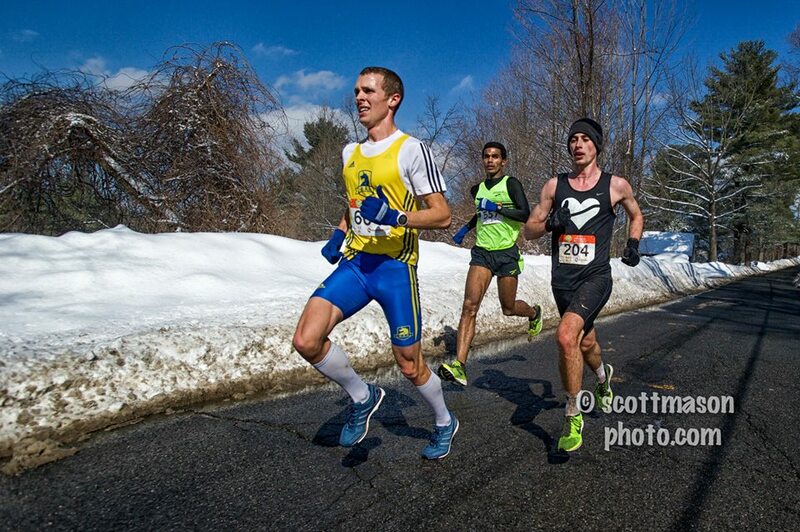 The race was won decisively by 22-year-old Bryan Marsh in 15:44, with top masters finisher Mike Galoob of the BAA taking third in 16:23, just ahead of his teammate and fellow masters runner Chris Magill. Galoob and Magill led a strong BAA contingent to both the first place masters team title and first place overall team title in the race, while GLRR held on to second place in the Grand Prix series with a second place team finish. The masters team from HFC Striders finished third to maintain their position on top of the Grand Prix masters leader-board. Mark Reeder continues to dominate the men’s 50+ competition, winning the individual title in that division and leading his GLRR senior team to first place as well. On the women’s side, 26-year-old Ravenna Neville took top honors in the Franklin Park 5K with a time of 19:25. The top masters woman was also the top senior woman: Trish Bourne, 50, of Greater Lowell Road Runners was the ninth woman overall in 20:43, pacing her masters team to a second place finish. First place masters team honors went to Western Mass Distance Project, whose three scorers swept the next three places in the masters race, led by former high school state champion (1991, on the Franklin Park course) Maura McDonald. 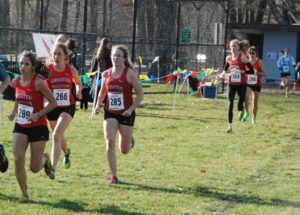 In a truly cross-generational clash, the masters women from WMDP finished second overall to the Phillips Exeter girls’ team in the Franklin Park race. WMDP moved into second place in the Grand Prix series with this win, just one point behind Greater Derry Track Club, whose members finished third in the masters team race with a split squad, as some team members competed in a NH Grand Prix event in the Granite State. GDTC still holds the lead in the 50+ women’s team competition, with GLRR right behind. With two races left in the Grand Prix series, many team races are too close to call. Harriers in the hunt for individual and team glory will return to Franklin Park on November 9 for the USATF-NE Championship Race, with visions of emptied and restocked porta-potties in their heads. As of Monday, November 4, these are latest results processed from source results available at https://lottery.linmarksports.com/raceresults.aspx?guid=2d92b618-4700-483e-95cb-71dc7c2a16a8. Included below are all USATF-NE members who are eligible to score points in the Road Racing Grand Prix series or become one of the 75 IronRunners for 2014. A late location change brought the second leg of the Cross Country Grand Prix series to the flat gravel paths around Ashley Reservoir in Holyoke, MA. While this course may not have had the same cross country feel as Stanley Park, it provided harriers with an opportunity to run fast times around a very scenic location. The open men’s race saw David Wilson and Sam Alexander (BAA) renew their battle for Grand Prix supremacy with Wilson reversing the result from last month’s GBTC Invitational to tie up the series at 29 points each. HFC teammates and Milton neighbors Jason Cakouros and Justin Renz took the top two positions in the 40-49 men’s race, moving Renz (who ran 22 miles the day before the race) into the 40-49 men’s lead with 27 points. Mark Reeder (GLRR) continued to stretch his 50-59 men’s lead with 30 points after another first place finish hours before his 55th birthday and Bruce Bond (GBTC) became the 60+ men’s leader with 28 points. The open women’s race was won by Kerri Leonhardt (GBTC) while Apryl Sabadosa (WMDP) placed second. A third place finish by Caroline Martin (GBTC) moved her into the open women’s lead with 27 points. Maura McDonald (WMDP) led six Lady Wolves finishers in the 40-49 women’s division, and teammate Dana Parrot continues to lead the series with 27 points. Trish Bourne (GLRR) was once again victorious in the 50-59 women’s division and leads that division with 30 points. The hosts from WMDP won the open men’s team race while GBTC’s second place finish ensured they would maintain their overall series lead. GBTC’s 9 points lead both SISU and HFC who are tied for second with 6 points. WMDP’s win moves them to fourth in the series with 5 points. HFC’s first place finish in the 40+ men’s team division moved them into the series lead and GBTC’s 60+ men’s team gave that division its first score of the series. The open women’s team race saw similar results as first Grand Prix series event with GBTC edging out WMDP. GBTC leads the overall series with 10 points while WMDP is in second with 8 points. SISU’s third place finish moves them into a tie with GLRR for 3rd in the series with 3 points each. WMDP won the women’s 40+ team competition to move into a tie with GLRR for second in that division. Greater Derry Track Club, whose “Hot Flashes” team of 50+ women finished a strong 2nd in the 40+ race and won the 50+ team race uncontested, leads both the 40+ and 50+ women’s team competitions in the overall series. Thanks go out from the WMDP to all who made the trip west, and from your non-WMDP blogger to the Wolves of Western Mass for putting on a terrific race. The Grand Prix series resumes on October 26th with the Mayor’s Cup at Franklin Park. To view the updated XC Grand Prix standings, visit the USATF-NE website here. XC Grand Prix, Round One! T.J. acknowledged that the host GBTC dominated the team competition, and he specifically called out Ethan Nedeau, Mark Reeder and John Barbour for strong performances in the men’s masters/seniors races (they won the 40+, 50+ and 60+ divisions, respectively). T. J. also made some pretty serious accusations about the pie-handling skills of the GBTC and potential Board of Health violations, but it’s possible his own pie-lessness influenced his reporting skills at this point. The Grand Prix scoring following the meet can be viewed here. GBTC did indeed dominate the open team competition, but Greater Lowell swept both masters and seniors team competition on both the men’s and women’s side. Sam Alexander of BAA won the open men’s race, while Alyse Rocco of GBTC finished first among the women. This coming weekend the Grand Prix series heads west of 495 (and in fact west of 84), out to the WMDP Cross Country Festival. This race has changed venues from the past few years—it will take place at the Ashley Reservoir in Holyoke, MA. 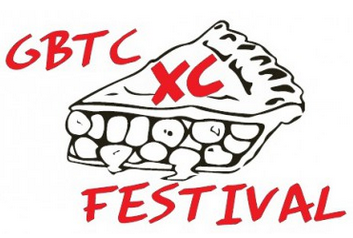 Rumor has it the change has something to do with the availability of non-pie-related refreshments post-race, but for now the vital piece of information for all runners is that the terrain here is more carriage roads than cross country trails, so road racing flats are recommended rather than cross country spikes. Hope to see many of you out here in the wilds of Western MA!